Before you take a break over summer, we urge you to take note of these important dates for 2018. Next year National Science Week runs from 11–19 August. While it seems like an age away, now is the time to start planning, particularly as expressions of interest to be part of Sydney Science Festival will open on 7 February 2018 and close on 9 March 2018. This year’s National Science Week and Sydney Science Festival campaigns were widly succesful. They are a great way to take your science offering to many new audiences, and we hope to engage even more presenting partners across New South Wales next year! 2017 marked record engagement for Australia’s longstanding national celebration of science. According to the national events calendar, National Science Week presented more than 600 event across NSW of around 2000 events nationally. While this is a great result, there were many more events and programs that we were aware of that were not logged on the calendar so missed out on the benefit of being included in our national PR campaign. If you made that mistake this year, read on to find out how to take advantage of the promotional channels you can access simply by logging your event at National Science Week in 2018. We estimate that around 215,000+ audience members were reached by programs supported with Inspiring Australia (NSW) funding. 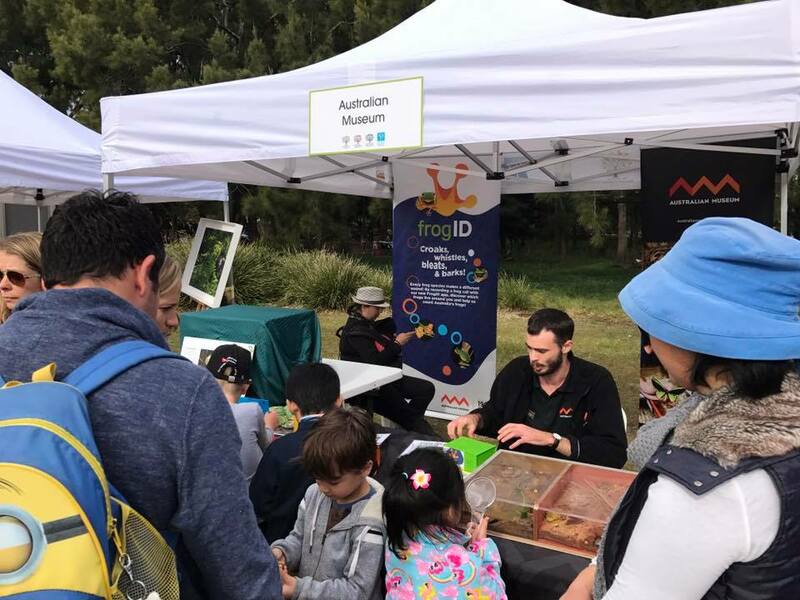 Across the state, hundreds events attracted thousands of people to imaginative programs run by NSW Regional Science Hubs. Large scale, week-long celebrations were again held in the Hunter, the Riverina and on the Sapphire Coast. Well-attended events were also held in Lismore, Armidale, Dungog, Broken Hill, Cowra, Orange, Cabonne and Bathurst. In terms of Sydney Science Festival, around 70,000 people attended 185 events across the city. Inspiring Australia’s Science Hubs in the greater Sydney region contributed huge programs, with the ever popular Science in the Swamp complemented by the inaugural Chatswood Science and Technology Expo and new events in Western Sydney including the Innovation Games at Sydney Olympic Park, PlantBank Party at the Australian Botanic Garden Mt Annan, and Gondwana Garden at the Blue Mountains Botanic Garden at Mt Tomah. A total number of 70 partners presented dynamic programs that brought the general public together with dozens of scientists, organisations and businesses with an interest in STEM. All welcome to join Australia’s longest running festival! National Science Week is Inspiring Australia’s flagship community engagement campaign, reaching around 1.8 million people each year with more than 2000 events. The online calendar is widely promoted in print, on TV and radio and through social media channels. It provides a fantastic platform for amplifying the reach of your public engagemnt programs. It’s easy to be part of National Science Week. Just add your event to the national calendar at www.scienceweek.net.au. The campaign website also provides tools and resources to help you host a successful event. Subscribe to the National Science Week newsletter to be informed of opportunities. Don’t miss the chance to promote your scientists and science-themed program or activty via this very well-known campaign! We welcome everything from open days, hands on activities and lab tours to film screenings, lectures, podcasts, social campaigns and more! Be part of Sydney Science Festival 2018! Expressions of interest to be part of Sydney Science Festival will open on 7 February 2018 and close on 9 March 2018. Start planning now so your event is well developed by the time we invite your paticipation via the Sydney Science Festival online EOI process. A high res landscaped image for the website. While you don’t have to have all event details confirmed by March 2018, the more information you can provide in your EOI about who your event is for and what it entails, the better! A selection committee will meet in mid-March and successful applicants will be notified by 31 March 2018. The Festival website is schdeuled to launch in June, so there is much work to be done between 1 April and then to get everything organised. Please help the Festival organisers by meeting these program deadlines.